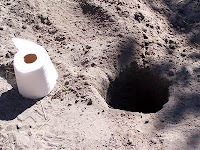 I have been remiss in my blogging recently as I’ve been almost totally absorbed in a seemingly never-ending project to retrofit a deluxe compost toilet inside our house. 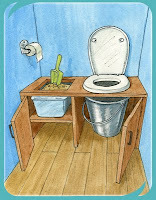 Our département (Côtes d’Armor) only allows grey water treatment using plants if the house has a dry toilet. 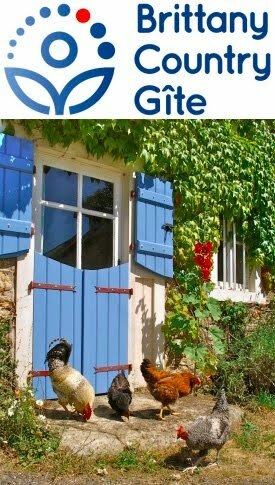 Several of our younger French eco-minded friends have toilettes sèches that consist of a box with a toilet seat and a stainless steel bucket beneath (hidden by a curtain or door). This needs to be taken outside and emptied every few days. Hmmm: it might do for camping but I’m not so sure other visitors to the house (like our mum’s for example!) would like to be so “involved” with the toilet. When on a course at the Centre for Alternative Technology in Wales, I heard the term “porcelain standard” and this is exactly what I’m talking about: i.e., how close does an alternative come to the reassuring familiarity of a white flushing toilet. We live on the first floor of our converted barn and the law of probability strongly suggests that it would only be a matter of time before I managed to trip and throw a bucket full of shite the length of the stairs. No, we wanted something more sophisticated. I’m sure Meryl Streep would approve of our toilet as it’s straight Out of Africa: a long-drop pit latrine; a VIP toilet (ventilated, improved pit latrine) or a twin-vault composting toilet with urine separation. Whatever you want to call it, this is the cutting edge of dry toilet technology which we’ve designed and painstakingly constructed over some considerable time with the invaluable help of an expert on dry toilets, Andy Warren of NATSOL. If you remember the song “There’s a hole in my bucket, dear Liza, dear Liza …” you’ll realise that one desired action implies a whole host of knock-on necessities. We needed to put the toilet where the shower was and then wanted to put the shower where the basin was, so the basin needed to go where the heater was and, to make this all fit, I needed to move a stud wall and pinch a bit out of the adjoining guest bedroom. Over the next few blogs, I’ll detail the eco-refit of our bathroom and although we’re really happy with the end result, I’ll be honest enough to tell you of a few things that we’re less that convinced by. Brings back fond memories, and stench, of when I was a schoolkid in Malaya (as was) and the toilet consisted of a hole in a raised platform over a dustbin. Once a week, though, given the heat and humidity, I hope more often, the unfortunate bogmen came to empty the effluent - who knows where? We had a compost toilet in our B&B and not one of our guests appeared to have a problem with it. A few people looked surprised when I showed them the 'bathroom', but after a brief explanation they thought it was pretty cool and all used it without hiccup. Only the in-laws found it a little too much to cope with! I can confirm that it never smelt and was really no trouble to empty. The local sawmill was only too happy for me to cart away huge sacks of sawdust when I told them what it was for.